So what’s the weather like in Minneapolis and St. Paul? It's just like any other state in the upper Midwest - hot in the summer and cold in the winter (and snowy). Below are a few suggestions to help you prepare for your trip to Minnesota. As winter nears its end, the sun rises higher in the sky and temperatures begin to slightly rise. Early spring can still be cold and snowy but it starts to really warm up towards the end of May. Rain and thunderstorms are very common during this time of year so don't forget to bring an umbrella. Our suggestion is to check the weather often so you bring the appropriate amount of clothes (since the temperature fluctuates). What to pack: Sweater, umbrella, jacket, hoodie, baseball hat, sunglasses, and jeans. 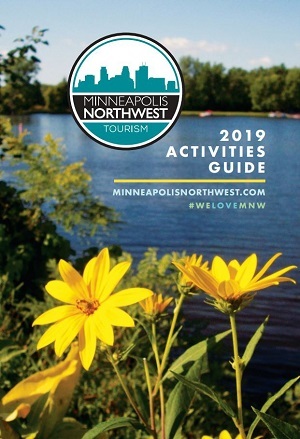 Minneapolis has been on National Geographic Traveler's list of the world's 10 best summerdestinations. The summers here are great! Even though it can be hot and humid with the occasional heat wave, the temperature is fairly consistent throughout the season (averaging around 70°- 80°). As for thunderstorms, they quickly come and go but aren't as frequent as spring. What to pack: T-Shirt, shorts, flip flops, umbrella, sunblock, bathing suit, sunglasses, and bug spray. It seems like Minnesotan’s favorite season is fall. It’s not too hot, humid or cold- it’s just right. Plus there is a rapid decrease in thunderstorms so you don’t have to worry about it raining much. If you want to see leaves turn gold and crimson then this is the time to visit. It’s absolutely beautiful around here during this time. What to pack: Hoodie, jeans, sports jersey, jacket/coat, flannel button down and slippers. Minnesota is known for its harsh winters. The truth is, they aren't as bad as myth would have it - Minnesotans embrace winter with plenty of outdoor activities and even a carnival. Temperatures start to fall in November and starts to warm back up again in March. If you’re going to be outside for a long period of time we suggest you bundle up (it tends to get really cold). What to pack: Winter coat, boots, hat and gloves, long-sleeves, scarves and earmuffs.